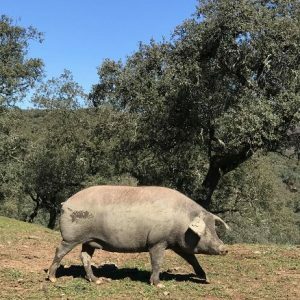 One of the things I love most about living in Vejer is that this corner of Andalucia has so much to offer throughout the year. Residents of Cadiz spend all year preparing for the city’s Carnival – held annually in February/March and centred on Shrove Tuesday. It’s a riot of colour, music and fun, and is arguably the best carnival in all of Spain. This atmospheric, ancient city is a wonderful place for a long weekend – as Rick Stein knows! It’s somewhere I love showing to culinary explorers as part of my gourmet food tours. Music is central to Cadiz Carnival, with groups of gaditanos (people of Cadiz) joining together as groups of ‘chirigotas’ to perform comic, satirical songs throughout the city. Choirs sing at every corner, accompanied by musicians and usually plenty of fireworks. The costumes are dazzling, too, bringing colour to the streets over the full 10 days of carnival time. As you’d expect, I always look out for the foodie element of any fiesta, and Cadiz Carnival doesn’t disappoint. 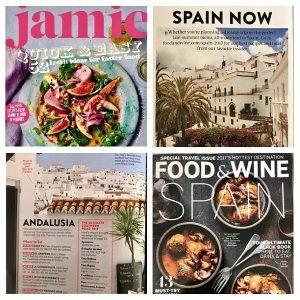 There are stalls piled high with erizos de mar – the most beautiful sea urchins, fresh from the Atlantic, eaten raw and perfect with a glass or two of manzanilla. 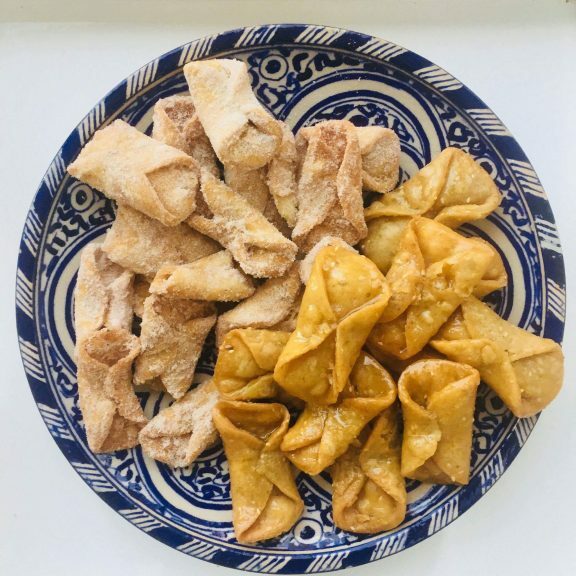 If you’ve got a sweet tooth you’ll love the pestiños on offer – crunchy little morsels of dough, flavoured with sesame and anise, then fried and drenched in honey syrup or dusted with cinnamon sugar. 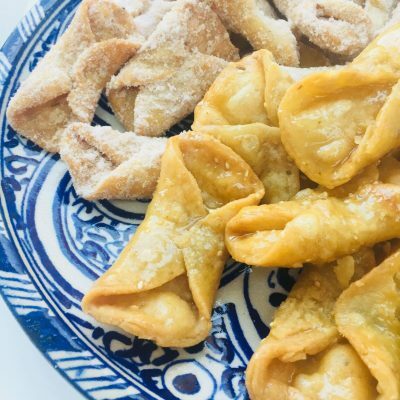 They’re enjoyed by thousands of gaditanos over the course of the carnival and are so easy to make at home – serve them on Shrove Tuesday as a change from pancakes and fill your house with the scents of Andalucian spices and citrus. I love making them for Easter, too! Put the olive oil, lemon zest and orange zest in a small saucepan, and heat very gently for about 10 minutes. Turn off the heat and leave for 30 minutes to cool and to infuse the oil with the citrus flavours. Strain the oil into a bowl and discard the strips of zest. Put the flour, cinnamon, salt, sesame seeds and anise seeds into a large bowl and stir together to mix. Add the strained olive oil, the sherry and knead (by hand or with a dough hook) until it comes together in a smooth ball of dough. Set aside while you make the honey syrup and cinnamon sugar. Heat the honey, water and orange juice together in a small pan – you will need to use when warm so don’t make this too far in advance. For the cinnamon sugar, just mix together and set aside in a bowl. Divide the dough into two balls. Dust the worktop with a little flour and roll out to a large circle of very thin dough – approximately ⅛ inch or 3mm. The thinner you can roll it the better – this will give the pestiños a bubbly, crisp finish. Use a glass or biscuit cutter to cut out circles of dough, and fold two of the facing sides into the centre – dot a little water onto the corners that overlap to secure the fold. Heat the oil in a deep pan. Once very hot (180C), drop a few pestiños at a time into the hot oil, frying until golden and crisp all over. When cooked remove from the pan with a slotted spoon and blot on some kitchen paper. Dredge with lots of cinnamon sugar, or dip each in the honey syrup before piling on a plate to serve warm. Enjoy with a glass of cream sherry, served with a twist of orange peel – Salud!